Sound is a human being’s most connective experience. Helen Keller said, “Blindness cuts us off from things, but deafness cuts us off from people.” Unclear or distorted sound makes the viewer feel isolated. And isolated people inevitably find another community to join. 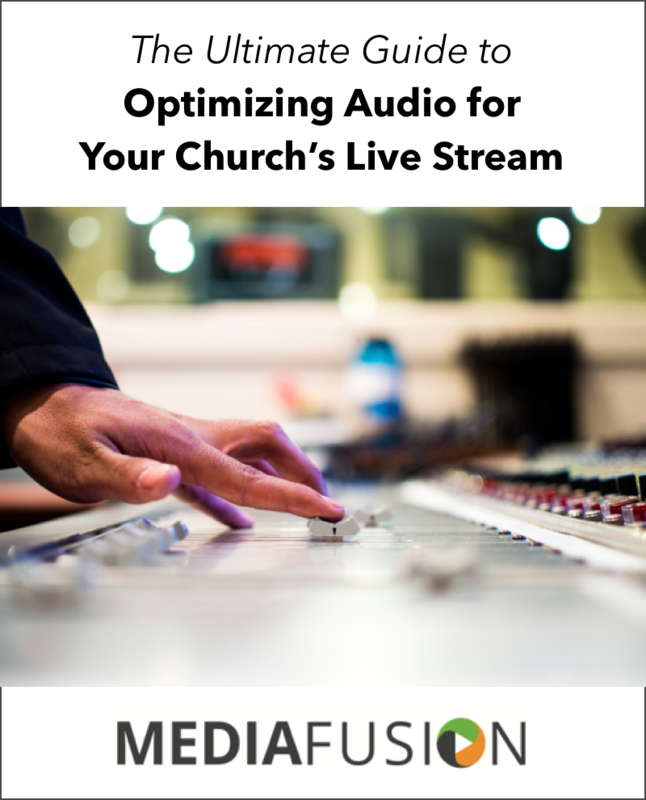 How can you optimize audio to create a powerful live stream experience that connects with your church members watching from home or on the road? To find out, we checked in with two of MediaFusion’s long-time partners, AJ Lebron and David Jones, both full-time audio engineers at Community Bible Church (CBC) in San Antonio, TX. Between them, Lebron and Jones have spent more than three decades mixing sound for churches, doing everything from setting up a PA system in a kitchen-sized venue to managing the audio for a 14,000-person church service.